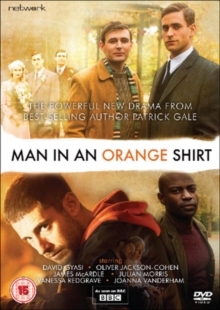 Two-part miniseries written by Patrick Gale and starring Vanessa Redgrave and Julian Morris. In southern Italy, 1944, British Army Captain Michael Berryman (Oliver Jackson-Cohen) and artist Thomas March (James McArdle) meet as war rages around them. While Michael's young fiancée eagerly awaits his return from war, Michael finds himself enamoured with Thomas and his bohemian charm despite the social pressures of his time. Many years later Michael's betrothed Flora (Redgrave) has grown old and now watches as her grandson Adam (Morris) forms a romantic relationship with his client Steve (David Gyasi). The social perception of homosexuality has eased considerably since Michael's time but modern society presents its own issues for Adam and Steve to overcome.